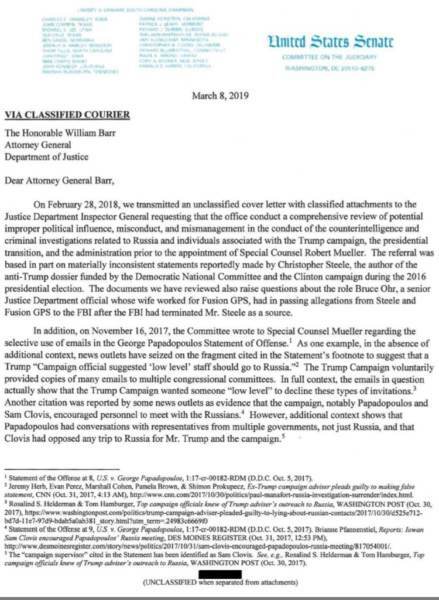 Then-Senate Judiciary Chairman Chuck Grassley sent Mueller a letter in 2017 alleging his team mischaracterized Trump campaign emails in a court filing to suggest Trump’s advisors were eager to meet Russians during the 2016 presidential election. In the newly released 2017 letter from Grassley to Mueller obtained by Fox News, the Iowa lawmaker shows concerns about the “absence of additional context” in various court filings against George Papadopoulos as well as media coverage of the documents. “The glaring lack of [context] feeds speculation and innuendo that distorts the facts,” Grassley wrote at the time. 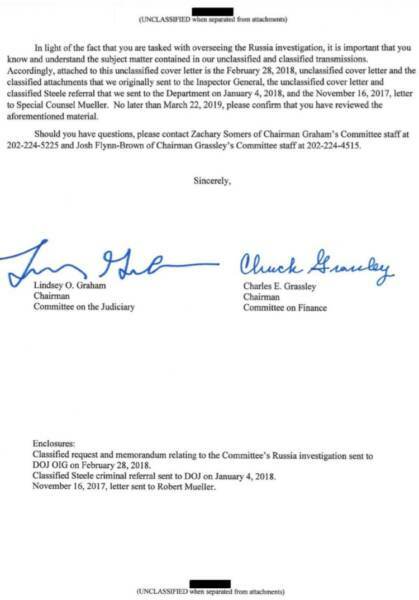 In a March 8th letter to Attorney General Bill Barr, Grassley and Graham refer the AG back to Grassley’s 2017 letter alleging the special counsel’s investigators selectively picked certain details and emails from Trump’s advisors to include in a court filing to push the Russian collusion narrative out to the public. It’s unclear if Barr reviewed the senators’ letter; a DOJ representative declined to comment on the missive, Fox News reported. Fox News is told Grassley and Graham wanted Barr to have this material before he reviewed the Mueller report, out of concern some emails were selectively quoted to give a “nefarious” impression. Grassley and Graham said the rabid main stream media then took the cherry-picked emails to report a “Campaign official suggested ‘low level’ staff should go to Russia.” However, the Republican lawmakers said the full emails from the Trump campaign paint a completely different story. 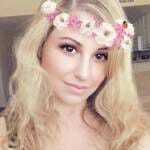 Grassley and Graham continued, “Another citation was reported by some news outlets as evidence that the campaign, notably Papadopoulos and Sam Clovis, encouraged personnel to meet with the Russians.” This line in the court filing said that a campaign supervisor (Sam Clovis) told George Papadopoulos “I would encourage you” and another advisor to “make the trip” if possible, (to a meet with Russians). The Democrats and their stenographers in the media were stunned when Attorney General Bill Barr released a 4-page summary of Mueller’s “principal conclusions” on the Russia investigation and concluded that Trump did not conspire with the Kremlin during the 2016 election. Conspiracy theories began to fly and the deranged Democrat-media complex accused Bill Barr of covering up Trump’s crimes — even though Mueller concluded his investigation with no new indictments. 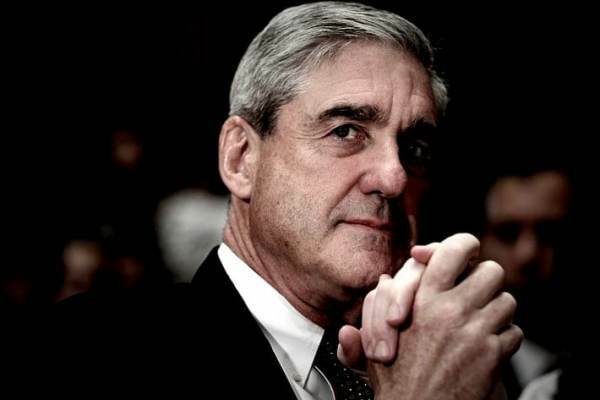 According to a Deep State leak Wednesday, Mueller’s team of angry Democrats are frustrated because they say the special counsel’s report is more damaging than Barr revealed in his summary. This newly released letter from Grassley to Mueller sheds new light on the frustrated Democrat goons on the special counsel’s team who tried to take control of the narrative with a leak to the New York Times after Barr dropped a stink bomb on their 2 year inquisition.